The most spectacular view of Key West and the surrounding waters is from the air. Flying at just 500 feet, Key West Seaplanes allow excellent sightseeing of wildlife including dolphin, manatees, turtles and rays. Lighthouse and reef tours are available or take a lunch trip to Little Palm Island, Cheeca Lodge or Hawk’s Kay. 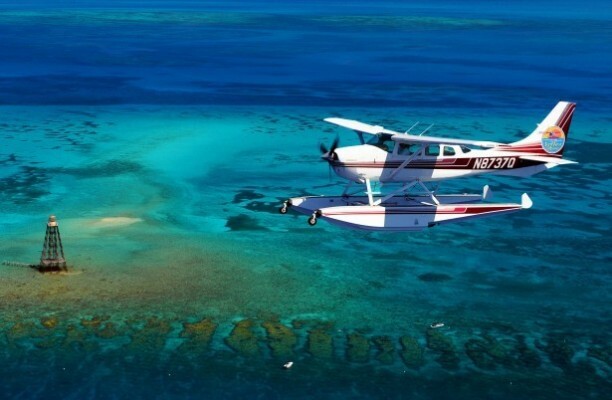 Almost any excursion is possible with Key West Seaplanes. There are also chartered flights offered to and from Miami, Ft. Lauderdale, Naples and beyond. Avoid the crowds, long lines and the waiting you get flying commercial. Key West Seaplanes charters are private and are on your schedule.